Gonna be the Twin-Tails! Just absurd! Ahhh, how absurd it is. Absurdity is post-modern, yes stipulated by Albert Camus. Being absurd, and I never seen anything absurd like this. Yeah, “Gonna be the Twin-tails!” OreTwi. This is just too stupid, it’s so stupid that I can’t stop watching. Oh yes, Otaku, totally us, otaku are absurd! Otaku’s existence is absurd! These enemies are just like us, having zokusei (attribute, or interest, or fetish). Or paraphilia. Yes, fetishism. Twin-tain zokusei. Twin-tail fechi. Twin tail fetish. Yes, it’s too crazy, I can’t stop laughing. These enemy monsters have zokusei, just like otaku. Oh yes, otaku are depicted as monsters here. Yes, like a bunch of kimo-ota. 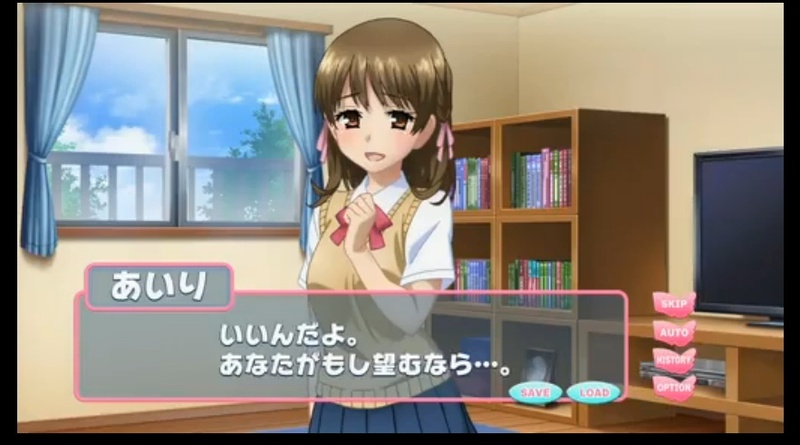 One monster is nurse-zokusei, and he was exposed in public that he played “Nurse Angel” PC game. Yes, public execution. Yes, childhood friend route. That’s the word I dream to hear the most. “I’m okay with it, if you want it…” Ahh, yes, that coy, shy, rosy-cheek, oh yes, rosy cheek, blushing, damn cute, and Airi, that’s her name, and her name is not in Kanji, but hiragana, yes, totally kawaii. Ahh, if I have a daughter, I will name her with hiragana, not kanji. Oh, yes, hiragana was developed as “female writing.” Very rounded, feminine quality, yes, rounded characters, or maru-moji(まる文字). Ah, diary exchange, or koukan-nikki (交換日記), so nostalgic, or saudade. Just by looking at girl’s writing, my heart felt romantic, tokimeki. But now, it’s all smartphone texting with stickers with Line, emoticons, handwriting culture was abandoned. Ribon-zokusei monster, ties up Tail Red with ribon, and strokes his face against Tail Red’s face, making orgasmic voice. Oh my Gosh, that skinship, so repulsive. I have to turn away from that scene, it’s like seeing myself. My fantasy exposed. Yeah, turn away from the mirror, Mirrorphobia that I have. It’s hard to face the mirror. Yes, that was public execution, or koukai shokei (公開処刑). You will get punished in front of God. The mirror is God, as Japanese supreme deity Amaterasu said to worship the mirror as Herself. Yeah, fully exposed, no privacy at all, where’s my 4th amendment? Didn’t Supreme Court just rule searching smartphone or laptop is unconstitutional without warrant? My internal desire that I cannot tell anyone in social life, lest I would be seen as a weirdo or creep, just like that song by Radiohead. Yes, of course, if I see a very cute girl, I really want to do skinship, like that Ribon-zokusei monster, but in social life, I have to deny that. If only a girl like Airi existed, “I’m ok if you want…” Yes, of course I want skinship with a pillow talk! Oh yes, this anime is like mirroring myself, or ourselves, yes all otaku of the world. That desire that nobody should know was fully depicted. It’s good that these monsters are faceless, I mean they are extraterrestrial monsters, so remain anonymous. That is still kind of relief as I want to remain anonymous all the time, even when I go to Akihabara, so I hide my face under glasses. I know a lot of otaku are buruma-zokusei. Yes, “old style PE uniform.” Hahaha, that word description. We otaku can immediately tell that’s about buruma! And Tail Red surrounded by buruma girls, ohhh, so envious. Yes, buruma is also the thing we lost forever as a cultural heritage. That’s why it’s fetish now, yes, notalgic, saudade, so buruma is saudade. Yes, fetish is a sense of saudade! That’s it! Oh yes, ribon-moe, twin-tail moe, nurse-moe, fetish can be interchangeable with moe. Though moe is more to a character, rather than attribute. Ahh, totally my kind of anime OreTwi is! These are culture. It’s deplorable that so many cultures have been suppressed or destroyed due to just politicians and radical feminists, treating anime as “Degenerate art” So, as a traditionalist, I don’t think we need to claim buruma to be a world heritage, but we should definitely preserve Japanese culture by restoring buruma. Yes, buruma restoration. As today, November 3rd is Culture Day in Japan! Buruma appreciation day. Buruma is the cultural symbol that we had in modern Japanese history! Previous PostAnime Power Ranking Ballot (Week Ending Nov 1)Next PostHarem is totally unfair!